• Women’s Blues Revue…Mark Your Calendar! Women’s Blues Revue…Mark Your Calendar! 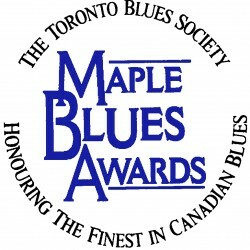 Mark your calendar for the 26th Annual Toronto Blues Society Women’s Blues Revue! The event will take place at Massey Hallon Saturday November 24. The featured vocalists will be backed up by the all-female Women’s Blues Revue Band. Check back here in the coming weeks to find out about the featured vocalists and the Charter Member only pre-sale & discount! Congratulations to the finalists: Amanda Davids, Ambre McLean, Carolyn Fe Blues Collective, Irene Torres & The Sugar Devils, Robbie Antone’s Blues Machine (pictured), and Tim Bastmeyer. These six artists will each perform in front of an industry panel judges and a public audience at Nathan Phillips Square during City of Toronto’s “Tasty Thursdays” series on Thurs August 16, Noon-2pm. 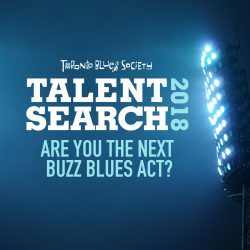 One winner will receive a prize package that includes a showcase opportunity at the Blues Summit Six, performances at the Southside Shuffle and Delta Chelsea Monarchs Pub, recording time at Revolution Recording, a photo shoot with Bill King, and mentoring sessions with industry professionals. The Toronto Blues Society is now a charitable organization, so you can be issued a tax receipt for any donations made beyond membership! Calling all artists looking to expand their touring prospects! There are three opportunities to be considered for TBS sanctioned showcases. Please send an email to info@torontobluessociety.com if you are interested to find out more information about each opportunity. 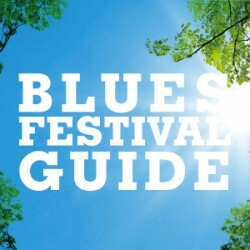 1) The Blues Summit Six is right around the corner! The bi-annual conference at the Delta Chelsea Hotel brings together blues industry from around Canada and beyond. A major component of the conference is the showcase portion which allows artists to perform in front of talent buyers. Note that artists may not showcase in consecutive Summit years. You may submit by sending a one sheet, CD, and a submission fee of $10 to the TBS office or through Sonicbids: http://www.sonicbids.com/Opportunity/OpportunityView.aspx?opportunity_id=107783 If you submitted for this year’s talent search and would like to be considered for this opportunity, please call the office before submitting.